Dr. Lawrence LeRoy expands services to include Laser Therapy with a New 60 watt Diowave! 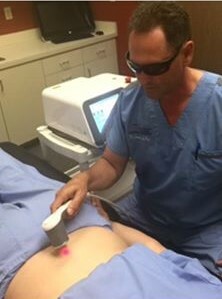 Congratulations to LeRoy Chiropractic in La Quinta, CA on their 60 watt Diowave laser purchase. The 60 watt is the highest power class 4 laser ever produced which gives clinicians the best patient outcomes possible in the shortest treatment times. We wish you and your patients the best of luck with this new powerful laser technology! https://kdtneuralflex.com/wp-content/uploads/sites/3/2014/05/kdt-logo.png 0 0 Courtney Buffy https://kdtneuralflex.com/wp-content/uploads/sites/3/2014/05/kdt-logo.png Courtney Buffy2016-11-18 21:22:552016-11-21 16:41:32Dr. Lawrence LeRoy expands services to include Laser Therapy with a New 60 watt Diowave!